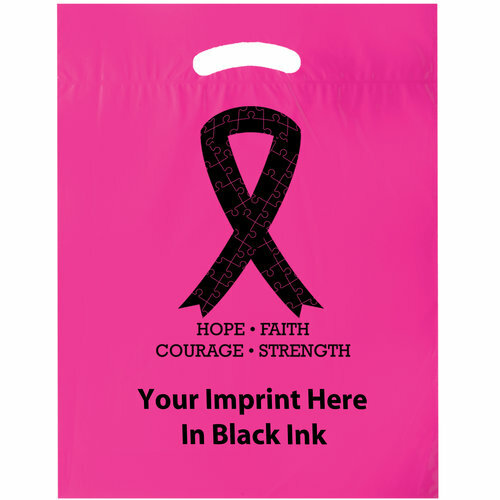 Join the cause with our Breast Cancer Awareness Die Cut Bags! These Bags serve as a great reminder to stay strong and keep fighting! This item features a stock ribbon design with your customized imprint below and is made with 2.5 mil. LDPE. Add your brand name or logo for a personalized touch. Show your support and carry for a cure!